When we look back on our lives most of us can see patterns. We constantly seem to choose the wrong partner, our businesses never seem to get off the ground, we struggle and get stressed out with the same issue over and over. So how do we go about breaking the pattern or loop that keeps the same things happening? I find the Akashic Records to be very good at helping us to see these patterns. And Inception Point Therapy can go back to the origin of the pattern – Ancestral, Past Life, In Utero, and Current Life and ask Source Energy to Release the old emotions that are keeping us stuck and down load Resources that support our growth. When we change the energy around something it makes it easier to change what we are doing. However, that said, we still need to do our part and make healthy choices. Most of us have had some event in our childhood that was painful for us. Occasionally when I’m working with someone it comes through from their Akashic Records for them to rewrite their childhood or another part of their lives. This usually happens after we have asked Divine Source Energy (God) to release old emotions around the event and download resources to support them. I think the power of rewriting an event is that it allows our subconscious to experience a positive outcome. Take for instance a childhood of feeling abandoned. What new scenario would you write? How would you interact with family members as a child in this new scenario? I encourage clients to have fun with it and expand as much as possible into this new, improved life they imagine for themselves. Feeling that we are loved, cherished, and provided for can be life changing. It’s an amazing thing when we can step back and witness our healing. I can see for myself over the past two years of releasing trapped emotions and replacing them with resources like love, self respect, and esteem how much I’ve grown and healed. One thing I’ve learned is that we raise our own vibration when we help others to raise theirs. I think it’s one of the fastest ways to become more expanded in love. Give it a try. Sit quietly and offer prayers, blessings, healing energy towards others. You not only help them, you help yourself as well. I worked with a client today that gets sick each time she travels – usually right before she is coming home. As a child she would spend two years with her parents in a foreign country for her father’s work and then they would get to take a break for three months and travel. While very small she got a sever ear infection right before coming home. She incorporated the misbelief coming home from traveling equals illness. Using the Emotion Code we asked are there Trapped Emotions she can release now that create discomfort in traveling, low immune system, and illness. She released five Trapped Emotions. It is always interesting how we have a major event in our lives like illness and incorporate trapped emotions around the event. Then we recreate that event over and over. I am truly grateful that releasing trapped emotions from the event can free us to experience life more fully without having to relive past trauma. I worked with a client today to release Trapped Emotions that stopped her from having a closer connection with the Divine. The first Trapped Emotion that came up was unsupported. We looked at specific people in her life that she felt unsupported by. Her father, mother, sister and even the Divine came up. We released one trapped emotion of unsupported for each one of the above for a total of four. The next Trapped Emotion was rejection which she also felt from her father, mother, husband, sister, brother and in 3rd, 5th, 6th, 9th, and 11th grade. We released each of these separately. These two emotions, unsupported and rejection, felt like core issues for her. Emotions she had been wrestling with for years. We looked at her current life and she shared that she felt supported and love by many people. And, there are some relationships where she is still wanting more support. As we release more and more Trapped Emotions, we can free ourselves of the weight of old baggage and live a life that is lighter and filled with more light. In our next session we are going to look and see if there are Trapped Emotions that stopped her from having a closer connection with the Divine. We can also see if there are Trapped Emotions keeping her from feeling supported in her relationships. My friend, Linda Jonigan, and I are talking to the Charles George VA Hospital here in Asheville about starting a Reiki volunteer program there. Given that Reiki can help alleviate pain and anxiety and bring about a greater state of peace, we feel it would be very beneficial to patients suffering from Post Traumatic Stress Disorder. It would also be beneficial if Vets could receive Reiki before surgery and after as it helps balance the body’s energy and helps with healing from the operation. We are currently looking for a Reiki Master that works at the VA that would be willing to supervise the Reiki Volunteer Program. 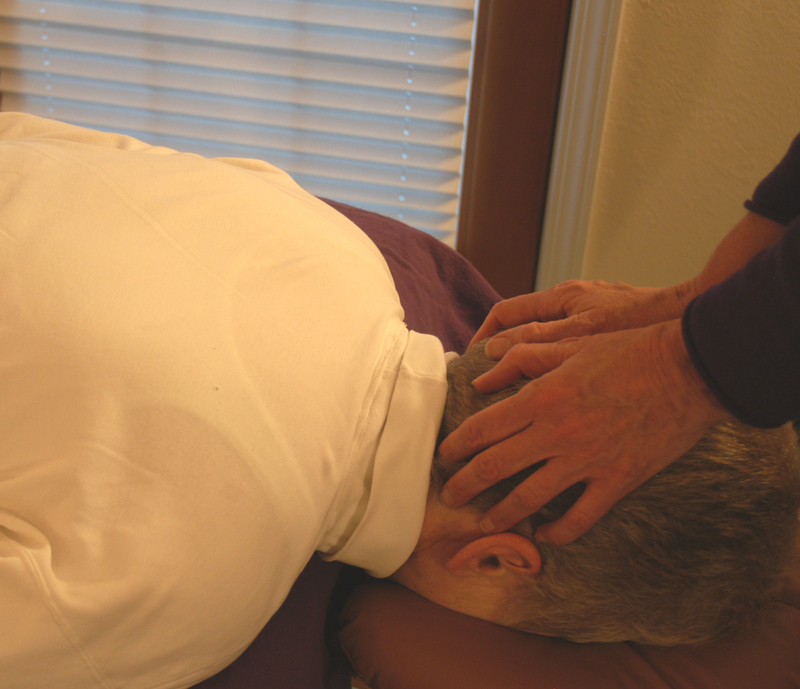 We think the main job of the VA volunteer would be to make sure Reiki is being correctly administered according to Reiki certification guidelines. We would come in under the Volunteer Program at the VA and be supervised and scheduled by them. Hartford Hospital has a large Reiki volunteer program that can be used as a model. Linda as a nurse has experience putting procedures in place in hospitals and I have been offering Reiki as a volunteer at Hospice Solace Center here in Asheville as well as maintaining the HeartSong volunteers’ schedule there.